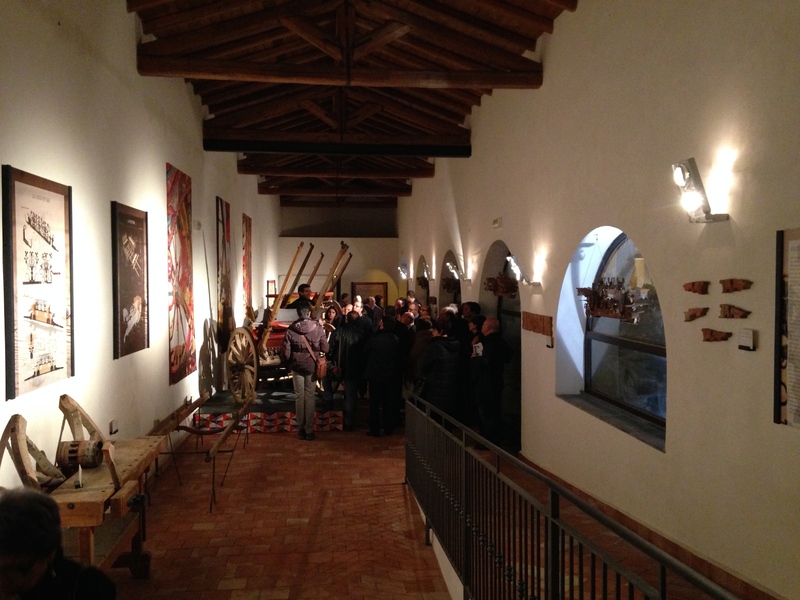 I recently was invited to attend an event at the Museo del Carretto Siciliano, Museum of the Sicilian Cart, located in the town of Aci S.Antonio. Aci S. Antonio is famous for the many artists and artisans that have lived and still live there that have dedicated their lives to the creation of Sicilian Carts. The event was the presentation of a book on the Sicilian Cart, Il CARRETTO SICILIANO, Memoria e tecnica per non dimenticare. written by GIUSEPPE DI BELLA. This book not only travels through the history of the Carretto Siciliano and some of the artists and artisans that have composed its history, but it also takes the task one step forward. The book provides technical details, through 3D modeling and rendering, created by both the author, Giuseppe Di Bella, and Andrea Raiti. I was invited by Signora Nerina Chiarenza, a female artist, painter of Carretti Siciliani, who for over forty years has carried out the art of painting il Carretto Siciliano. 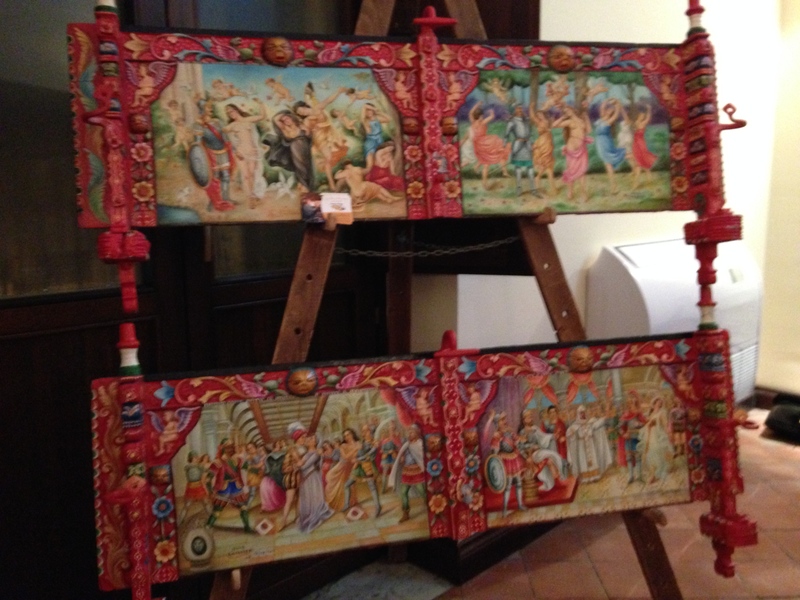 Picture of two “sponde laterali” sides of a carretto on display during the event and painted by Sig.ra Nerina Chiarenza. 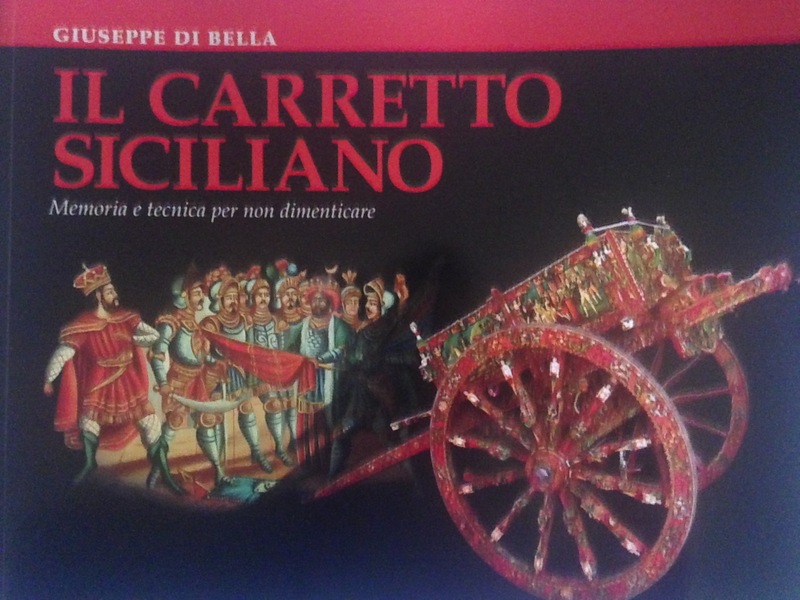 As those presenting the book stated, this book revisits the history of the Carretto Siciliano through three paths, the artistic in the paintings, the folkloristic aspect and the engineering aspect in its technical descriptions and details. 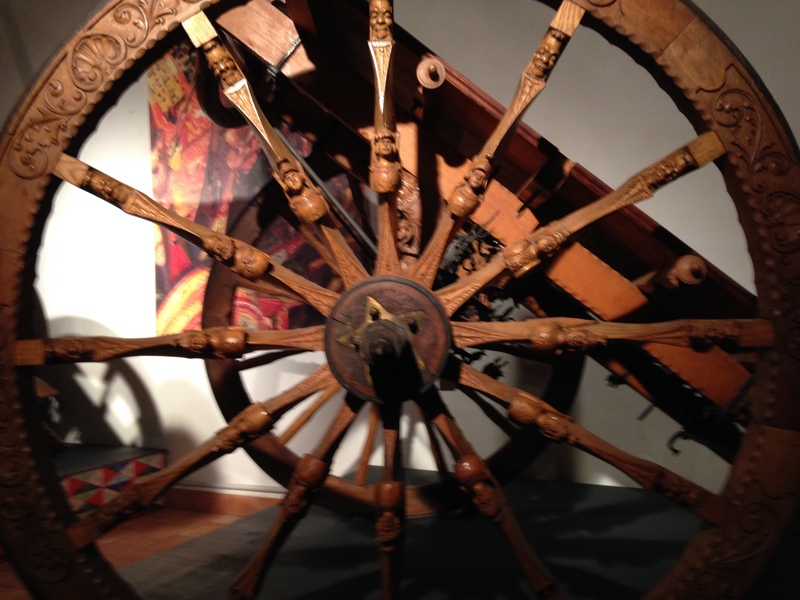 Many interesting facts were shared regarding the history of the Carretto Siciliano. 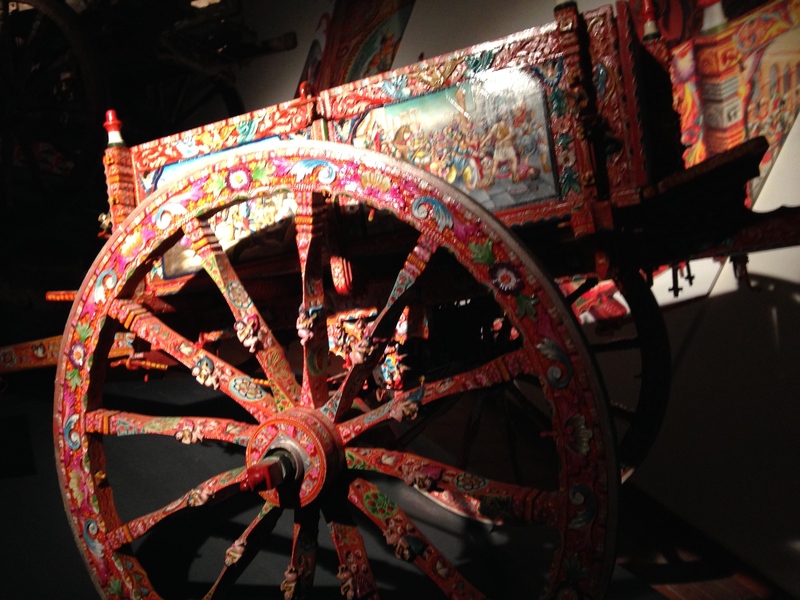 To cite one example, it was interesting to learn that a Carretto Siciliano was built in such a way that one thousand kilograms of lava rock could be carried without any strain to the animal pulling it; the weight would be equally distributed among the parts of the cart. Several artists who were present at the event were recognized for their commitment to this trade over scores of years. One of the members of the panel presenting the book is also a musician, who travels around the world sharing the Sicilian storytelling tradition. He shared some interesting anecdotes tied to Sicilian traditions and while playing his guitar sang some traditional Sicilian stories. After the presentation, everyone visited the Museum. 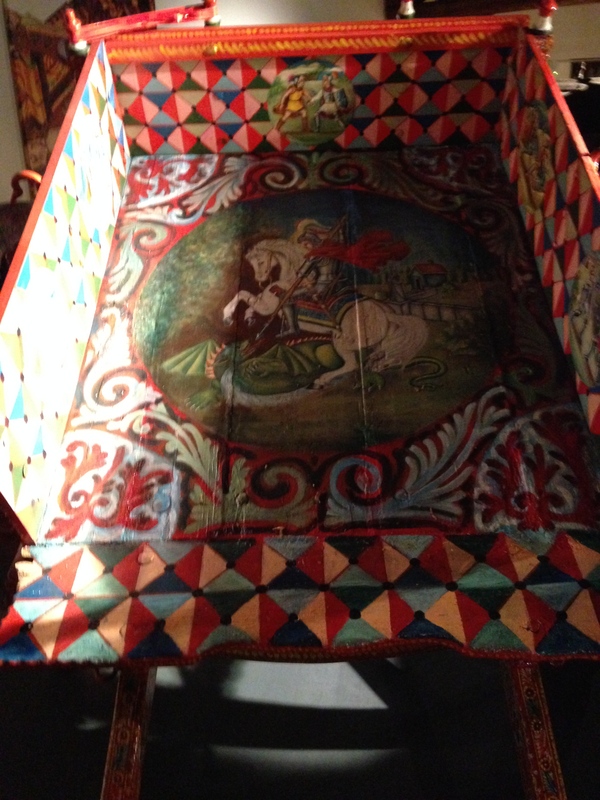 The Museum of the Sicilian Cart in Aci S. Antonio was inaugurated recently, in July of 2014, and will grow as a testimonial of the history of the Sicilian Cart.